Mark is a 16 year Real Estate Appraiser in Marietta Ga with extensive knowledge in Residential Appraising. 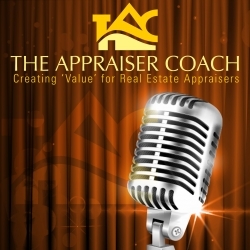 Featured on Podcasts such as Voice of Appraisal with Phil Crawford and The Appraisal Coach Dustin Harris as well as published interviews in Valuation Review and the Creator of the 100% Real Estate Appraiser Group, Mark has become a leader and a voice behind the Real Estate Appraiser grass roots movement and profession. With his large community of appraisers Mark was able to help co found the Appraisal Forum & Festival (Appraiserfest) with Phil Crawford and Lori Noble. Mark is also the head GA representative of the American Guild of Appraisers. As a business owner of What’s It Worth Appraisal Services in Marietta Ga, Mark has prided himself on customer service and meeting the various appraisal needs of his clients. Through his passion for the profession and his endless efforts to bring appraisers together, Mark is able to obtain valuable information and use his voice and platform to help others within the profession. Mark is a straight forward talker, rarely holds anything back and has decided to use his voice for the good of the consumer and the profession.